Dr Mills provides Mills Appearance clients with an injectable service. 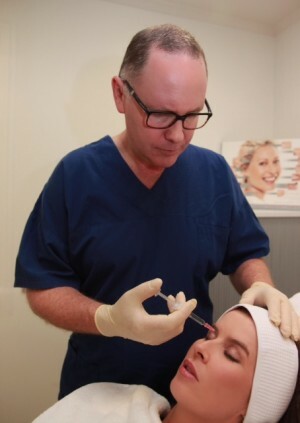 As a Plastic and Cosmetic Surgeon he uses his expertise in facial aesthetics to advise his patients on the best combination of Botox and/or Dermal Fillers so as to enhance their natural beauty. Dr Mills will administer your Botox and/or Dermal Fillers procedure with minimal risk and discomfort. The impact of one’s face is not to be underestimated. It is the focal point of our appearance and is intrinsically linked to how we feel about ourselves. In today’s fast paced life and stressful environment, aging can be accelerated beyond our years. Enhancements to the eye, mid face and mouth areas can make a wonderful difference to give a fresher more youthful look, restoring symmetry and balance. At Mills Appearance the focus is not just about turning back the clock, it is about looking at the face as a whole, maintaining character and expression to give a natural result that is in keeping with your own appearance. Appearance medicine can be restorative to help undo the visible effects of ageing or it can be preventative in its approach. Research shows that with regular Botox® treatment results can continue to improve overtime.